i have all i need, but not the instruction manual. If your time is "unlimited" - use aliphatic glue. White wood glue. It is strong and not brittle and will not get miscolored after a shoort time like many epoxi glues. 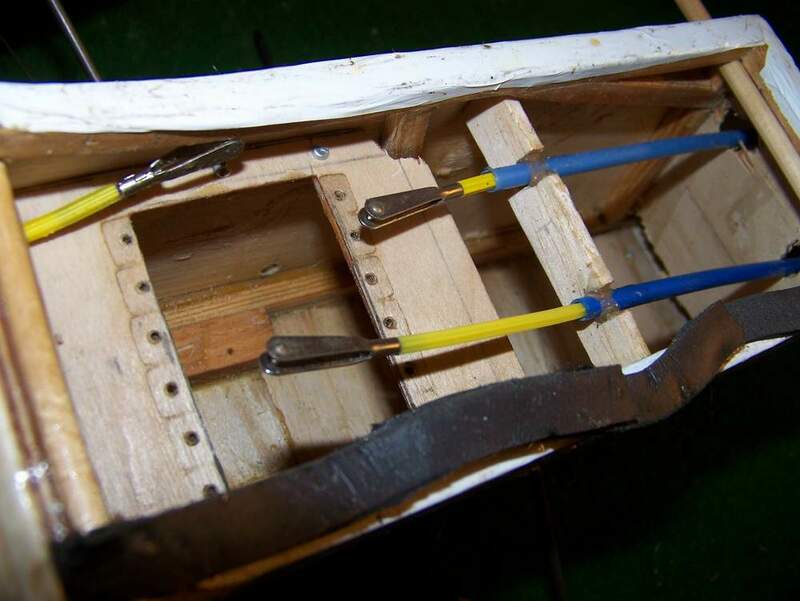 Epoxi is used for firewall, motor mounts and conecting the wing halves if any. 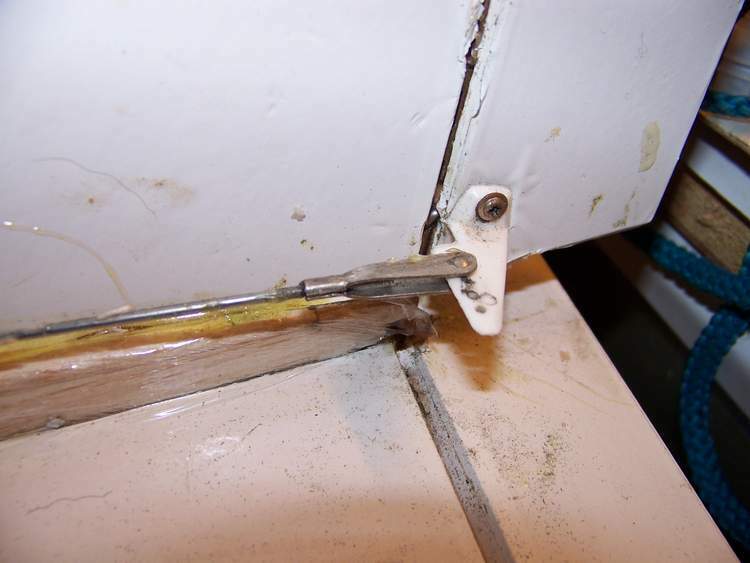 You will most certainly get the advice to use the fast "super glue" from some builders. The CA will normally get brittle when old. Both epoxy and CA are bad for your health but used with plenty of ventilation and gloves Ok and needed if you are in a hurry. I have never seen or heard of the Futaba Professor before - please post some pictures of your plane. It is most possible a plane sold under other names. As far as i can tell i have the only one! Can i use low temp hot glue for most of it? 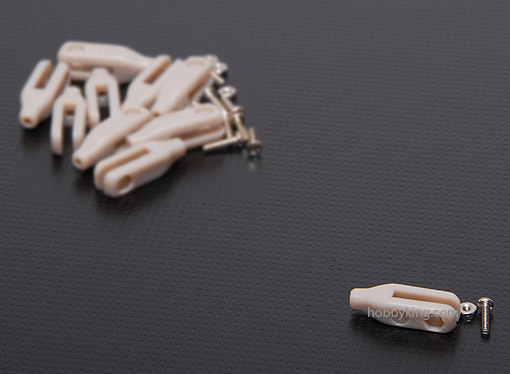 Noob question here, im building it but the pushrods are wayyy too short and it comes with these thicker metal rods that are threaded on one end, can someone explane this? The threaded push rods have clevises that screw on to them and connect to the control horn. If they are a cm or so short it is because you need these attached. see if they are in the kit somewhere. If not, get some music wire and make some rods to fit. DONT use hotglue on a 40 glow! I assume that there should be some wooden rods in the kit. It is normally some hardwood like spruce but might be thicker hard balsa. The thin tube is threaded to the metal rods. The thick outher tube has to be fastened in both ends and some places along the route not to give sloppy movements. So the threaded metal tube threads into the skinny white tube, and pushes (pressure fit) into the clevises, and the thicker black tube goes over the whole thing? I would not use CA unless balsa to balsa in the trainer. You will certainly find some epoxi in a store close to you. The push rod ends are normally threaded in both ends. But if i had to choose i would use the threaded end to the clevis (and perhaps replaced it with a metal clevis). The end you put into the plasic tube might be sanded to get a better grip for the glue. 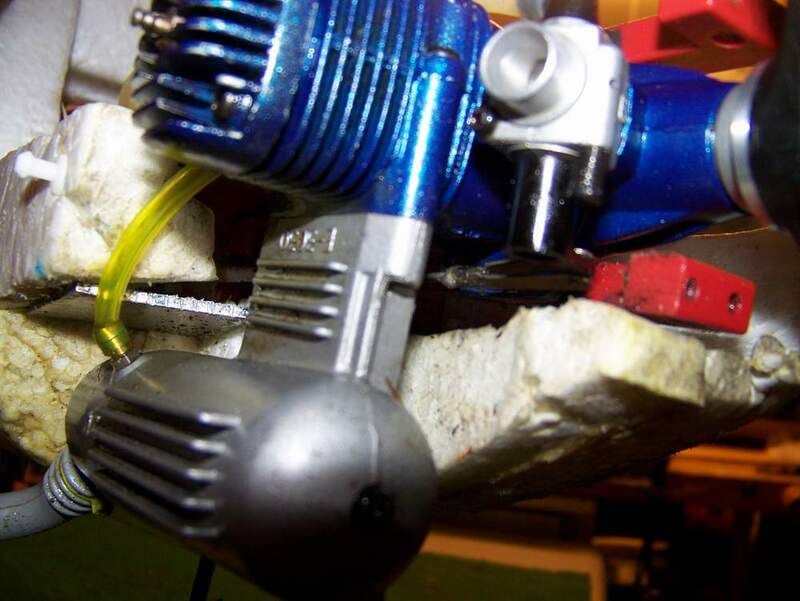 You will normally use the Z-bend at the servo end and the threaded end to the clevis. 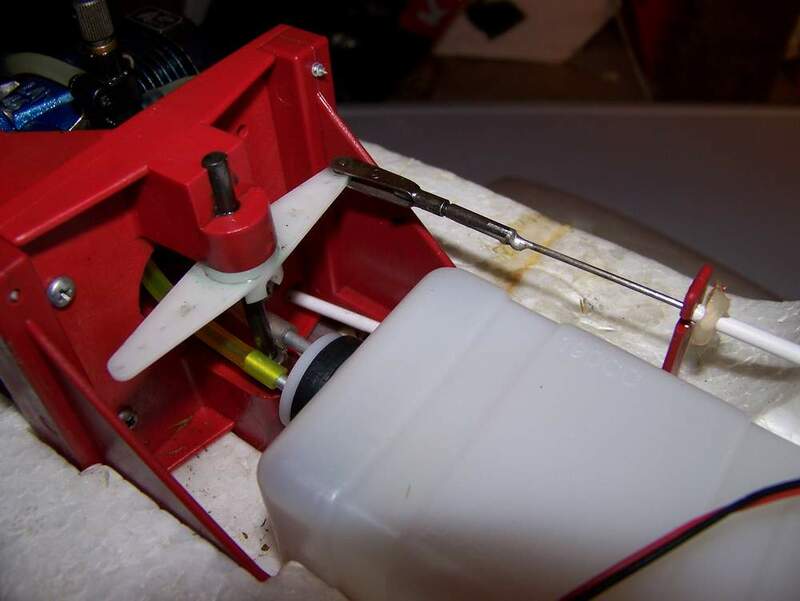 The Clevis can then be adjusted a few threads in each direction to make the rudders be neutral when the servo and radio sticks are neutral. Hot glue is fine for foamies and smaller lighter models. I would not trust it in a glow trainer with plenty of vibration. It is also important to wrap the receiver in soft foam inside the plane. The kit looks like the Pilot Quick-Build series from the 1980s. I found www.pilot-rc.com/Upload/201108210745.pdf but that seems to be a much bigger modern plane. Does the long white fit into the black ones and glide without friction? I assume that they are for the rudder and elevator. 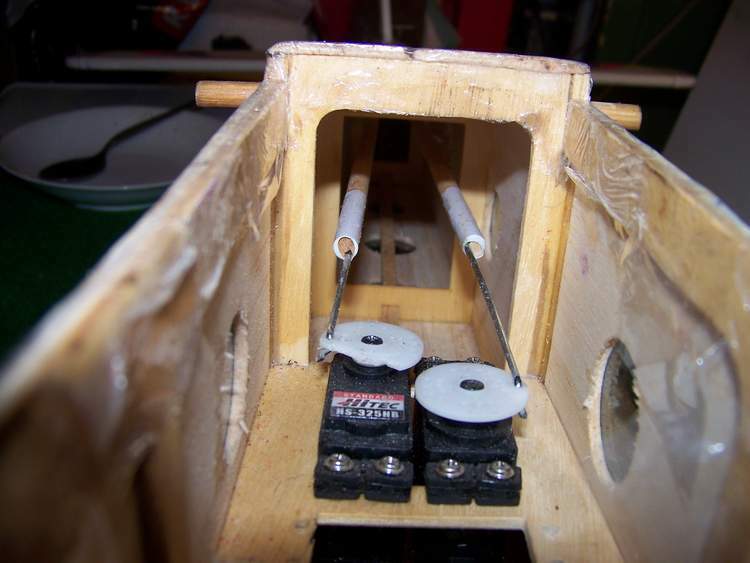 The short metal with Z-bends to the servo and the longer with threads to the clevises connected to the arms on the rudder and elevator. The Black outher sleeve should be glued to the inside of the fuse on some places (might be hard to apply glue inside the fuse but they must not flex). The longer metal wires with threads to the clevis kan be bent if needed to get i nice line to the arms. The plastic tube might be slightly bent but the straighter the better. There might be pieces cut off from the plastic tubes and the longer parts of the metal wire. How are the contents in the plastic bag? Just Z-ends or short straight ends with threads? In case of short straight pieces - they should probably be on the ends of the plastic tubes to the rudder and elevator. Aileron - are there one central servo or two servos? In any case the way is short and i dont think you need other than metal wires. I guess that the longer white metal pushrods are what you need. i think you got the threaded ones messed up, i made a video and i will post it today explaning my situation, i will start a new topic called "Help with pushrods" so please go there if you can offer me any help, it is really hard to explane it over words. Until you get your new thread .. 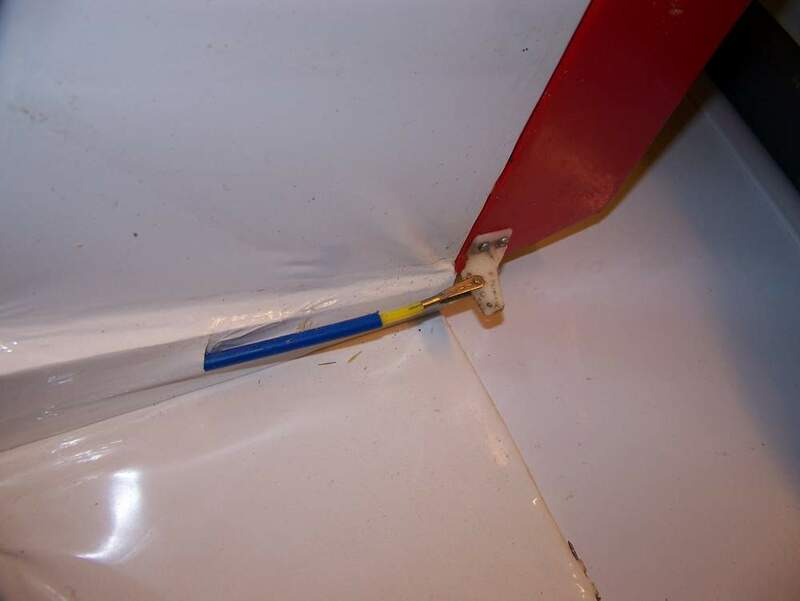 Example of Sullivan - plastic tube inside plastic tube with short metal ends. This is an example of "music wire" in plastic tub. The upper one is for the nose wheel and you might see a white tube in the bottom to the throttle. Turns out after some thinking i got the elevator and rudder working! hooked them up and they work great! now working on the landing gear and steerable front wheel. Ill probably post a new thread tomorrow with questions! Thanks so much, it was an awesome feeling seeing the rudder and elevator working!